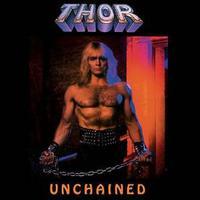 This vintage Thor album is getting the reissue treatment here. That would have been cool enough, but they weren’t content to stop. 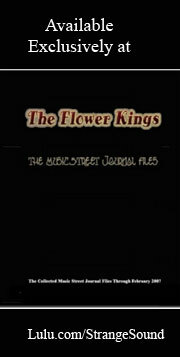 Instead they included a lot of bonus tracks, and a great DVD with live footage and more. This makes for a great item for fans of Thor, but also an excellent introduction. I like the chorus hooks on this. The cut has a real NWOBHM meets early epic metal sound to it. I love the instrumental section at the end. It’s meaty. This seems to have some audio problems. The mix at the start is in your face, but then it drops to a reduced, muddier sound from there. It’s a cool mainstream metal tune, though. Almost more hard rock than true steel, this is another stomper. The chorus is catchier than most, and I really like the guitar sounds. The cut gets very dramatic and powerful later on, too. This is much more hard rocker than metal tune. That said, some of the musical elements are quite powerful. The chorus is catchy, but also a little cheesy and dated. The keyboard sounds are also dated. I love the guitar on this. It’s definitely and old school metal song. This reminds me quite a bit of early Judas Priest. This is heavy and screaming. It’s a fiery cut that’s just so metal. It has a mean, almost scary sound to it. This instrumental is quite classy. There is an almost space rock bit at the end. Coming in screaming, this is a bit more like WASP perhaps than anything else. Still, it has some of that NWOBHM sound in place. More of a power ballad, this definitely makes me think of WASP quite a bit. It has a dated sound, but it’s also very strong. A fairly mean sounding metal song, this is a stomper. The guitar playing really steals the show. Very much an NWOBHM styled cut, this has tons of energy and some catchier moments. Some of the vocals on this are spoken. The cut is energized and unusual, but also a little cheesy. Still, it’s a nice bit of variety. The instrumental section later in the cut is exceptional. There is almost a punk rock vibe going on here. It’s a bit like Alice Cooper meets Krokus to me. It’s very different. I wouldn’t consider it metal, but it’s a lot of fun. Somehow this feels punkier than the other version to me. It’s most even in terms of mix, though. This mix feels even more NWOBHM to me. I think I like it better than the other version. I definitely like this better than the other version. It’s less produced and rawer, but also more effective. Wow, this is so dated and clichéd in sound. I really don’t like this one at all. The drums on this are too far up in the mix at times 0 obtrusively so. The whole cut benefits more than it loses from the rawer approach, though. I prefer the other version of this. It’s not as raw and, in that particular instance, that’s a good thing.